Today I’m going to share with you what I’ve learned and found through trial and error with spray painting just about every surface you can think of. If you have a question you don’t see here, feel free to email us or leave it in the comments and we’d love to answer it for you. What brand of spray paint do you use? 90% of the time I use Krylon. I am so impressed with the color selection and the quality of the paint and the nozzle. The spray nozzle that comes standard on the can is amazing. 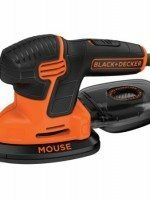 It rotates to allow you to paint at virtually any angle. 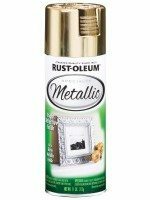 I also love the coverage the Rustoleum 2x Ultra Cover but don’t love the nozzle. Both are great! Do you use primer when you spray paint? Yes. Usually, but not always. I always prime furniture and large items. I rarely prime small items, like frames, lamps, etc., unless I am covering a dark piece with a light color. If you’re in doubt, do it! 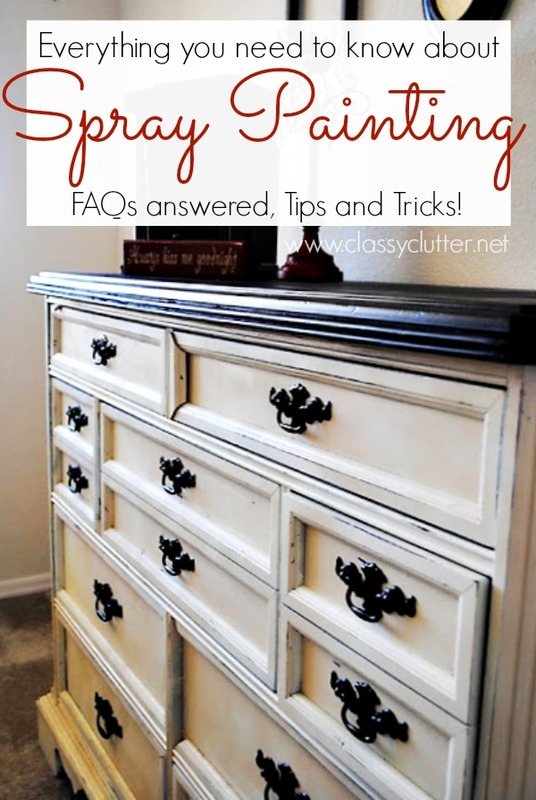 I promise you’ll never regret priming! It’s always helpful! Do you have to sand furniture before spray painting? Not always. Again, this is a total judgement call unless there is obvious damage or issues with the furniture. I always sand if there are things that need smoothed out or any old paint, varnish, or anything else removed. Sanding is a great way to get a fresh start on a piece. 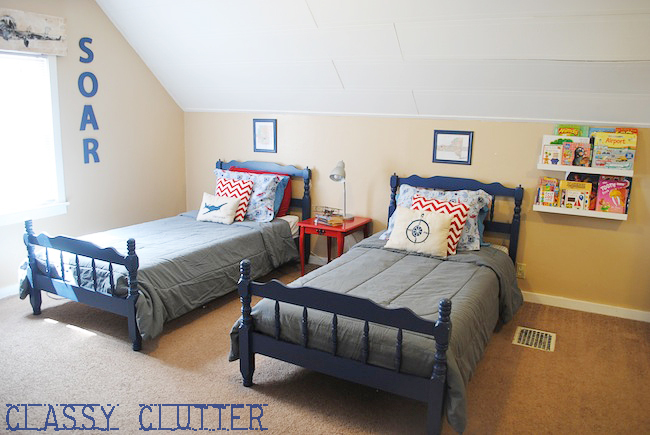 And again, you’ll never regret sanding either! I spray painted a piece, and now it feels sticky/tacky. What did I do wrong? Usually when this happens, you have sprayed it too thick too quick. 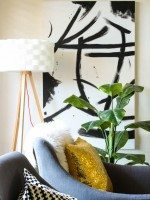 If you spray several coats of primer and spray paint on a piece, you must make sure that each coat is completely dry before spraying any additional coats. When it’s sticky, the top coat may seem dry but the other coats have not dried thoroughly. More often than not, time will fix it but it can take several days or even weeks for it to cure completely. Be sure not to use the furniture until the sticky/tacky feeling is gone. 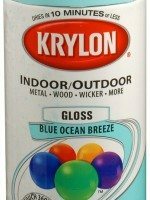 Do I have to use a clear coat after spray painting? No. Clear coat is simply for protection. I usually use it on large pieces that I plan to have or use for a long time. Also, if the piece will be getting a lot of wear and tear you should use a clear coat. 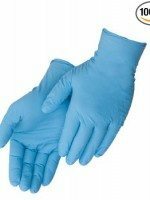 I usually use polycrylic or polyurethane. You can use wax or a number of other things to finish or protect your piece. One thing you want to be careful with is using polyurethane on white or really light pieces as it can yellow over time. How can I be sure not to get drips when I’m spray painting? This can be tricky and you will get better with practice. 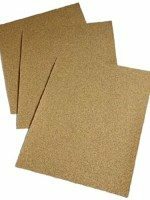 I have found that you need to shake your can really well and do a few test sprays on a piece of cardboard to check your nozzle. Then, use the technique found in this video to spray your piece. This is my sure fire way to avoid drips. Also, if the outside temps are too cold, it can cause drips during drying time because the paint is running before it has time to cure. My spray paint is bubbling. What happened? Your piece is basically rejecting your paint! Sometimes its due to conditions being cold or there is something unseen that will not allow the paint to adhere. I’m sure there’s a more professional explanation but it happens all too often. 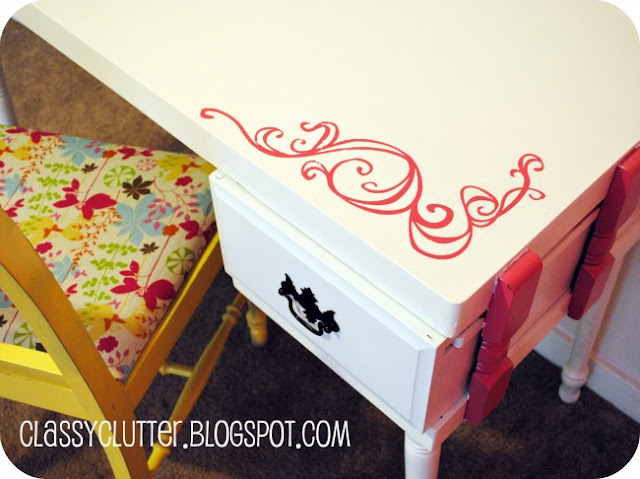 I read on Centsational girl’s blog that this can be solved by using an oil based primer on the cracked or bubbled area. 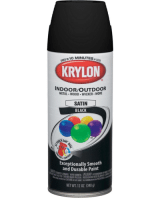 Do you use a spray paint nozzle attachment when you paint? What surfaces can I spray paint? 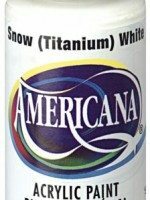 Be sure to read the label on your spray paint can or research online but you can virtually paint anything! Wood, metal, plastic, fabric, etc. Work in a well ventilated area and wear a mask. 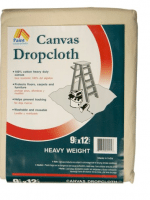 Cover nearby surfaces with a drop cloth or tarp to protect them from over spray. Use Graffiti remover if you get overspray on concrete or nearby surfaces. Make sure to read the label to be sure its safe to use. 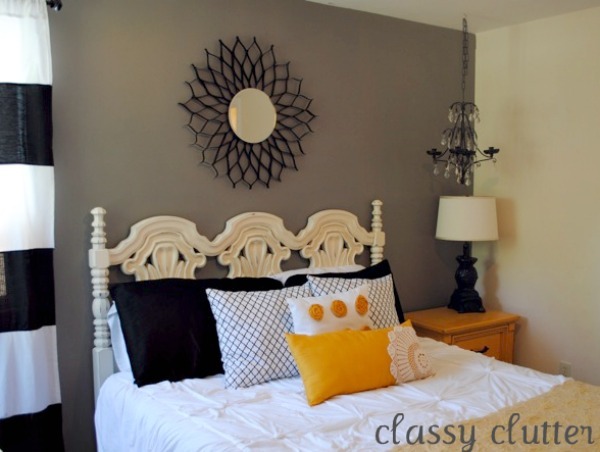 Here are a few of my favorite spray paint projects. Enjoy! Well, this could go on and on and on so I’ll leave you with those few and let you click around and find more of our spray paint projects! 🙂 Thanks for stopping by today friends! OOOOhhh thanks for the tips! I am a spray paint girl, too! Thanks for sharing! Those are some much-needed tips, for sure. I’m just beginning to learn the art of spray painting. 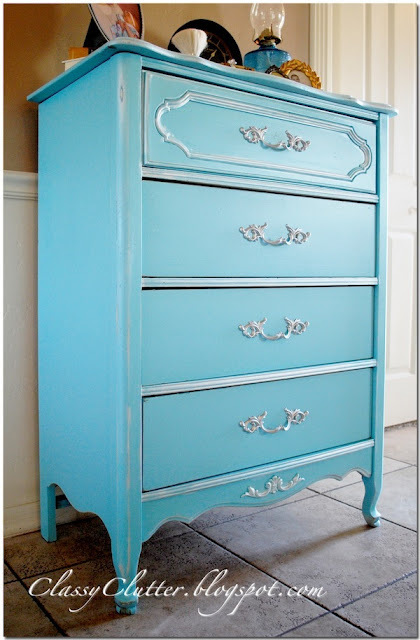 I cannot get over all these pieces of furniture you’ve spray painted! Bautiful! I have a new spray gun with air compressor that I keep meaning to learn but in the meantime—these tips are just what I needed! Bless You!! Good tips! I have a couple projects i am tackling soon 🙂 wish me luck! Wow, those are cool!! LOVE love love!! And thanks for the tips…I am not too great as spraying yet! Thanks for the tips! Love spray paint! I think you just saved my brick patio! I accidentally sprayed beyond my covered space and onto the brick and didn’t see it until the next morning. !!! Can I find that graffitti remover at Lowe’s? What gorgeous pieces! Loved them all! Some Plasma Coating is conducted in protective environments using vacuum chambers normally back filled with a protective gas at low pressure. This was so helpful. I will have to keep an eye out for that brand. Thanks for sharing! I made a wreath for Halloween and I guess we were overzealous with the spray paint and my project is *still* tacky after a month. Would keeping it in the garage over winter be better than trying to set it outside in the sun? La baie d’açai a également un certain nombre d’antioxydants qui sont excellents pour le corps, car ils aident à restaurer d’autres antioxydants déjà dans le corps comme la vitamine C, la vitamine E et le glutathion. Les flavonoïdes dans la baie aussi aider à protéger le corps contre la maladie. I’m thinking about redoing a old dresser that belonged to my kids. I want to put it in the kitchen as a coffee station. If I was going to use a primer which one do you recommend? Hi, I am completely new to painting pretty much anything but am in love with your ivory and black dresser makeover. I noticed it looks like on several of your pieces you have aged it and some places look worn which I really like. What technique did you use to achieve this look and would it be easy for a newbie such as myself to do? I have some furniture that was my mothers that I would just love to revive… thanks!! 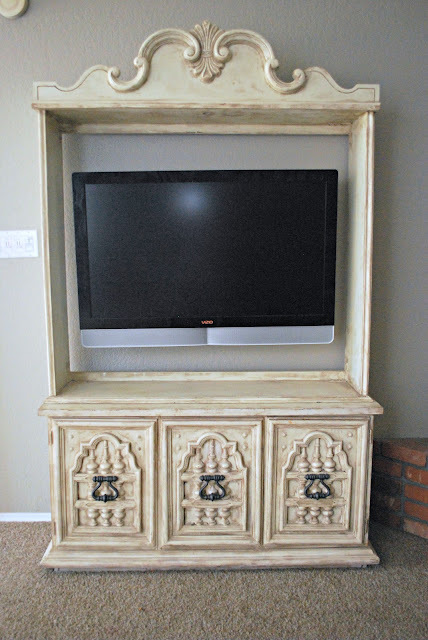 I did a poor job spray painting a laminate entertainment center a few years back. 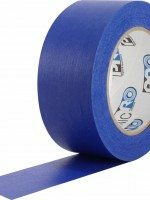 It scratches easily, especially when pulling out shelves and looks blotchy in places. 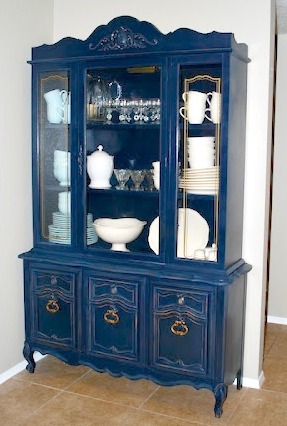 I want to repaint over it, but don’t know if I can–would a second coat adhere? 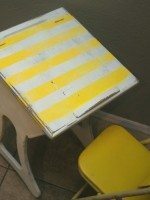 How would you suggest I go about an attempt to repaint laminate furniture? I’m new to following this FABULOUS blog! I was trying to watch the spray painting video, but it says that it’s private…. Any suggestions? Thx! Same problem here, I’ll try asking this as a new ques as for some reason only one person got an answer to a ques here in the comments section (about distressing furniture with sandpaper) but no one else!  Due to extremely high volume of comments and questions, we are unable to answer every single one. Sorry! What was your question about distressing? Hello! 🙂 Me and the person I was replying to here both can’t watch the spray painting video with your ‘sure fire way to avoid drips’ as it says it’s private. I’d love to be able to see it, is there anything you can do to make it accessible? 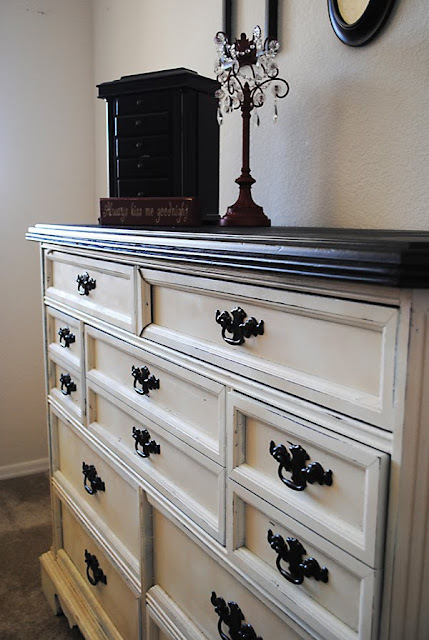 WHAT COLOR DID YOU USE ON THE BLACK AND IVORY DRESSER? Thank you so much! I couldn’t figure out what I did wrong on the coasters I made–I put a clear coat on, but they are still sticky. Yours was the first article that told me what I did wrong. I’m so relieved that I can avoid the same issure in the future. Thanks again! I am def no good with paint ect, but have alot of “projects ” I am fixing to start on!! Like my daughters dresser, just like the Tiffany Blue one showed here only with 2 extra smaller drawers at the top and my sons Minecraft room, so for bed frames, dressers ect would you all recommend spray paint or rolling and brushing?? I just wanna figure out which is easier, I am literally so dumb at this stuff I tried her dresser once before and just wanted white and thought it did not matter what type of paint, well it will take me WEEKS probably to sand it all off because I bought and USED barn and fence paint,,,lol so any help is appreciated!! 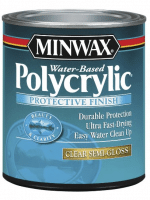 What kind of polycrylic do you use? Brush on or spray on?